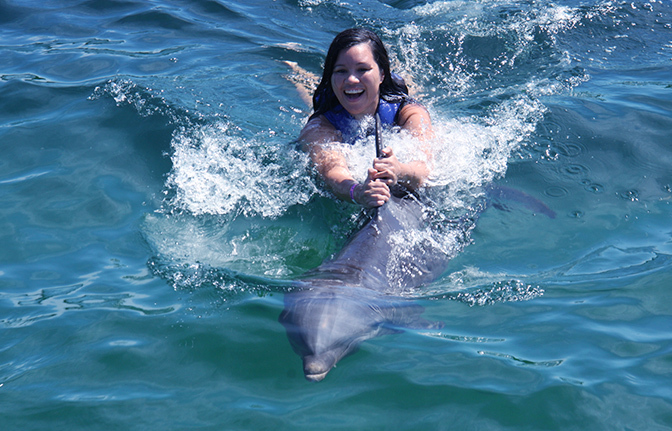 Dominican Quest offers the Dolphin Explorer adventure from any hotel in Juan Dolio or Boca Chica. 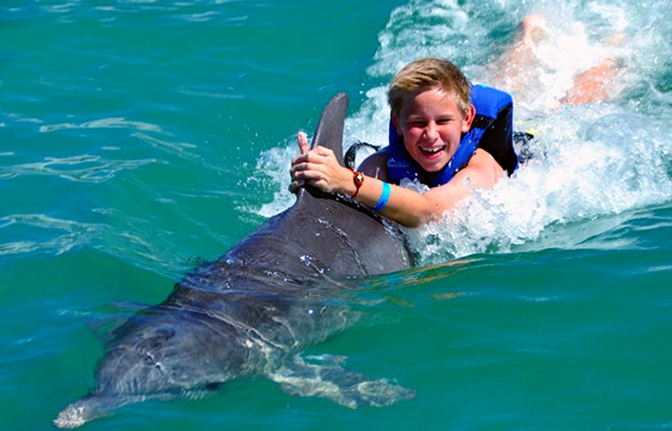 It is an amazing activity during which you will be able to swimm with dolphins. This activity will for sure take your breath away and will be a truly memorable experience. 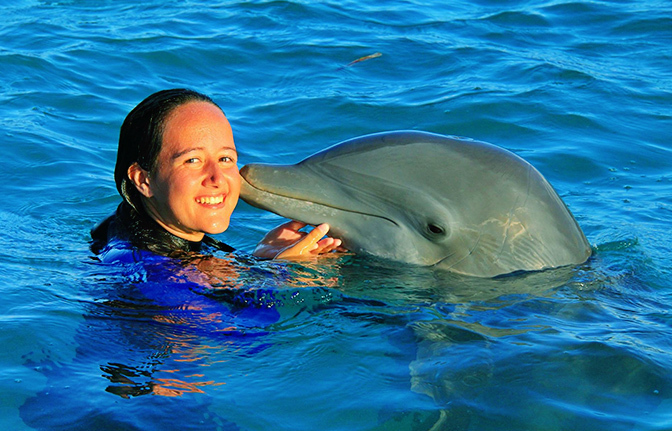 After a pick you up at your hotel we will take you to the beautiful wildlife park Dolphin Explorer in Punta Cana. 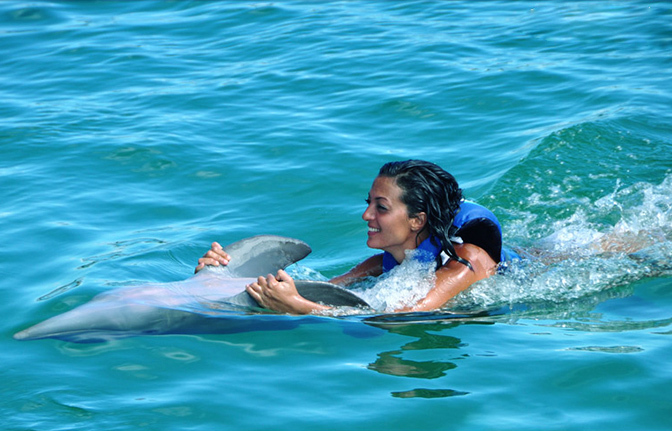 At the park you will receive important instructions from an expert dolphin trainer and you will then get to swim with these majestic and friendly creatures. A life jacket wiil be provided to your in odred to keep you stable in the water. This will for sure enhance the quality of your interaction with these lovely animals. 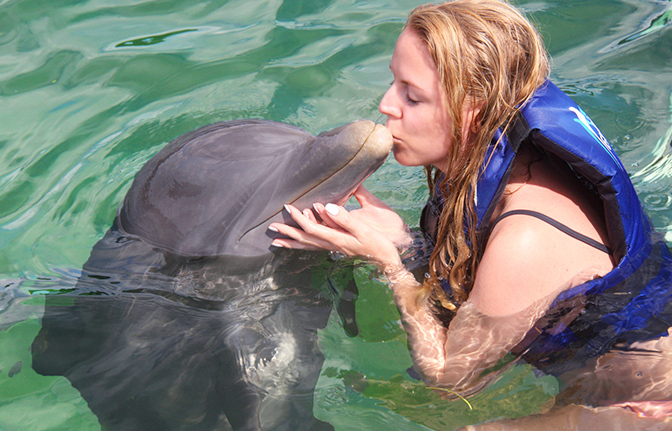 Enjoy a full 30 minutes close up and personal interaction with a dolphin. You will be participating along with a maximum 12 people and a lovely dolphin. 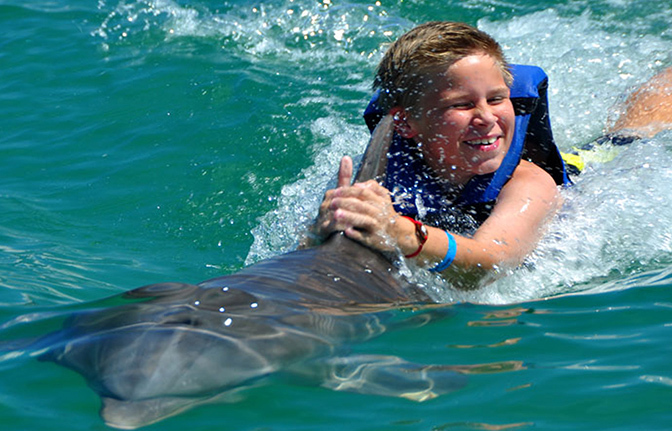 During this experience you will be able to stroke, touch, play and freely swim with your new marine friend. This interactive experience is for intermediate swimmers . In the case that you can not swimm or are travelling with small kids we recommend the “Funtastic” activity. Otherwise for even more time and activities with the dolphins you can check out the Dolphin Excellence program.